Neural networks are revolutionizing the financial industry. The world's largest hedge funds have embraced artificial intelligence to autonomously generate trading signals and to manage portfolios. Self-altering A.I. algorithms are making multibillion-dollar decisions for hedge funds with little to no human involvement. In fact, A.I. contributes to more than half of all profits of one of the world's largest funds. In essence, A.I. technology is allowing trading systems to "think," crunching numbers at speeds a human could never achieve. How does Neural Trader work? Neural Trader is a neural network framework that Modulus specially designed for deep learning, using a combination of neural network algorithms including quickprop, cascade correlation, and simulated annealing. With self-learning neural trading systems, programs are fed data sets containing training data, along with the corresponding target outputs. The data used for training is usually obtained using historical data in which the outcomes are known (in-sample training set). The A.I. system then learns from the examples. When training has gone well, the system will predict answers with a high rate of accuracy. Essentially, a neural network is an adaptive, nonlinear filter. You can train a neural network with information about how to trade, and the network will attempt to forecast the market based on what it learned from the training data it was supplied. Our clients in the financial sector often use technical indicators, or the price of various stocks, gold, oil, or currencies, and fundamental data as inputs into a neural network. The target value may be future price, market direction, volatility, or other values. Neural Trader provides an unparalleled level of computational intelligence, making it suitable for a number of financial applications. Like the human brain, Neural Trader is wired for a broad range of uses. Self-driving car systems; Autonomous UAV flight systems; Facial recognition (including the detection of human expression); Computer network anomaly detection; Credit scoring and loan application systems; Credit card fraud detection; Speech recognition; Sales forecasting; Industrial process control; Risk management; Security and defense systems; and Natural language recognition. In the healthcare industry, neural networks are used for biomedical systems for modelling and diagnosing various bodily systems. They're also used in emergency settings to diagnose life-threatening health conditions such as acute appendicitis and strokes. Neural networks can also be used to forecast a patient's length of stay in the emergency room, predict communication risks (thus reducing the risk of healthcare error), diagnose rare diseases, and help radiologists identify hidden tumors and cardiovascular disease. Neural Trader can be applied to all these use cases and more. Target marketing requires dividing markets into segments with varying types of consumer behavior. Neural networks are well-suited for segmenting customers based on their income, purchasing patterns, product preferences, demographics, location, and other characteristics. Neural Trader can automatically group customers into cohorts based on the similarity of these characteristics, thereby increasing marketing effectiveness while reducing costs. 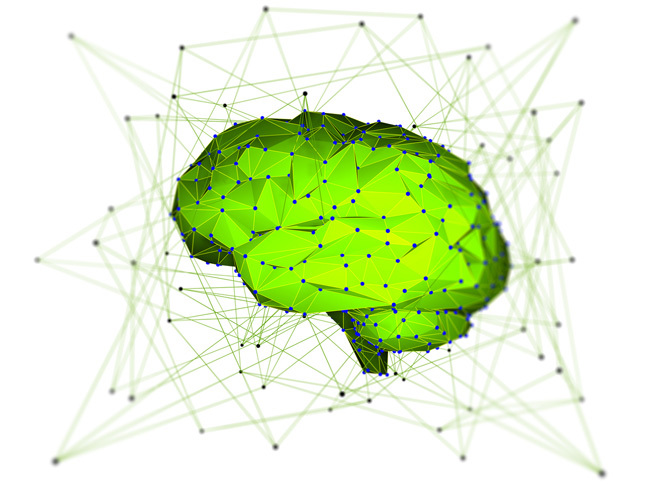 Neural networks can analyze multiple variables such as market demand, competitor pricing, reputation scores, economic variables, seasonality, and other factors in order to forecast sales, predict buying behavior, and more. You can also use neural networks to predict the best online advertising keywords, identify the best ads that offer the highest click-through rates, analyze website user behavior in real-time to create compelling dynamic offers, and analyze conversions for optimal advertising. The objective of quantitative credit scoring models is to assign credit applicants to one of two main groups: a good credit group that is likely to repay the financial obligation, or a bad credit group that should be denied credit because of a high likelihood of defaulting on the financial obligation. There are multiple neural network models you can use for credit scoring, and Neural Trader can help you implement them all. Modulus has built its reputation on complex, ultra-high performance solutions. We serve much of the financial industry, from JP Morgan Chase, Bank of America, and Credit Suisse to TD Ameritrade and the NASDAQ Stock Exchange. We also serve some very diverse sectors: from space exploration (NASA) to business intelligence (IBM, Shell, Siemens) to healthcare, national security, defense, and law enforcement. Visit our sister company, Modulus Global, Inc., if your deep learning project requires High Performance Computing. Modulus Global provides custom FPGA and ASIC hardware engineering with CAPI-enabled Power9 processors and the NVIDIA Tesla V100 to speed deep learning by 10 to 100 times versus software written in the C programming language. Modulus develops on the same hardware framework used by the Oak Ridge National Laboratory's Summit Neural Network Supercomputer. Modulus Global, Inc. provides high-end, turnkey solutions that do not require software development, whereas Modulus Financial Engineering, Inc. provides software development components and frameworks for self-serve solutions. Since 1997, Modulus has provided advanced technology products and services to clients including The NASDAQ Stock Market, J.P. Morgan Chase, Bank of America, Credit Suisse, Barclays Capital, Goldman Sachs, Merrill Lynch, Fidelity, TD Ameritrade, Devon Energy, IBM, Microsoft, Yahoo!, Google, Cisco, Adobe, Ford Motor Company, SAS Institute, Rutgers University, University of Chicago, MIT, Oak Ridge National Laboratory, NASA, and thousands of other corporate, educational, governmental, and non-profit institutions, throughout 94 countries. Our products and services reach millions of end users around the world.